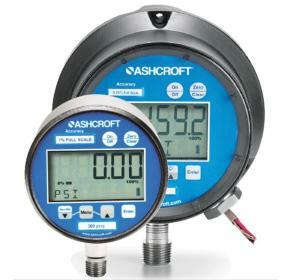 The Ashcroft® 2074 industrial digital gauge is a battery powered multifunctional instrument providing exceptional features and performance. Polysilicon thin film technology makes pressure measurement extremely reliable and virtually unaffected by shock and vibration. An ideal product for industrial test and measurement applications.